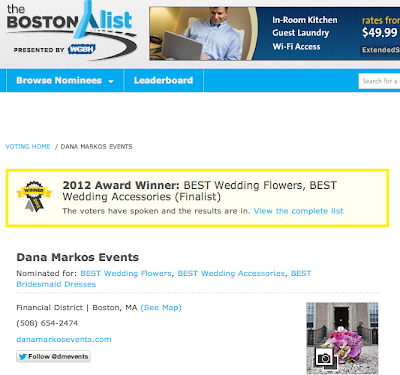 As many of you have already heard, Dana Markos Events has received First Place Recognition as Best Wedding Flowers of Boston, and we wanted to dedicate our blog today to all of our friends, families, former clients, and fans who were so unbelievably supportive during this period of voting! In the past few years we have finished this contest in the top three, and for the first time we successfully took First Place! As just one of Boston's many talented vendors, we know that the competition for this title was fierce, and it just makes us even prouder to be able to claim it! We sincerely want to thank everyone who voted, "shared" it, and spread the word in our support! We could never have done it without every single one of you and from the bottom of our hearts, we want to say THANK YOU! 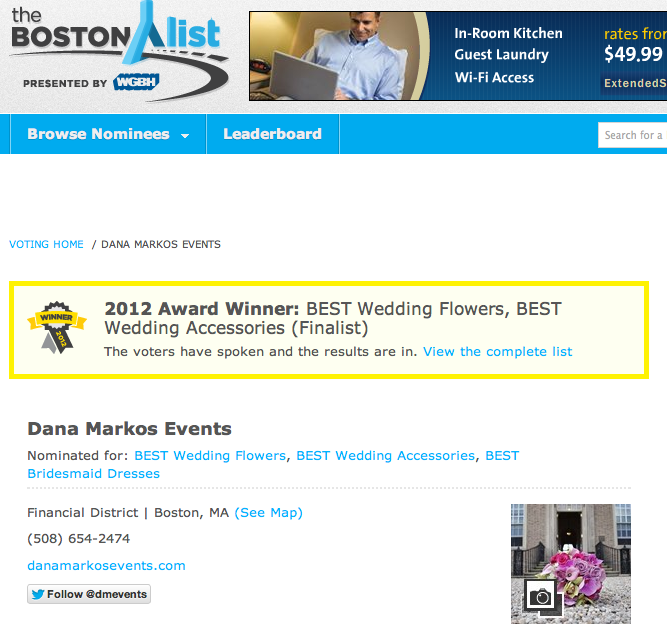 "It is with heartfelt thanks and much appreciation that you voted, kept voting, and supported us during this endeavor to achieve Best Wedding Flowers of Boston by City Voter."